Knitting Park: Half Linen Finished! Probably less than 2 yards left... 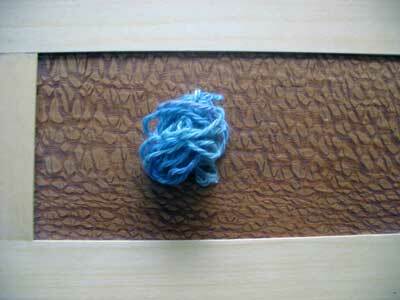 I probably could've seamed it with that yarn, but I still think the lustersheen worked out better. Wool/mohair/silk might have been more annoying to sew with. Changes to the pattern: the only change was doing a single crochet row, then a reverse single crochet row for the neck and front openings to save yarn. Overall Impressions: I'm very happy with how this turned out. 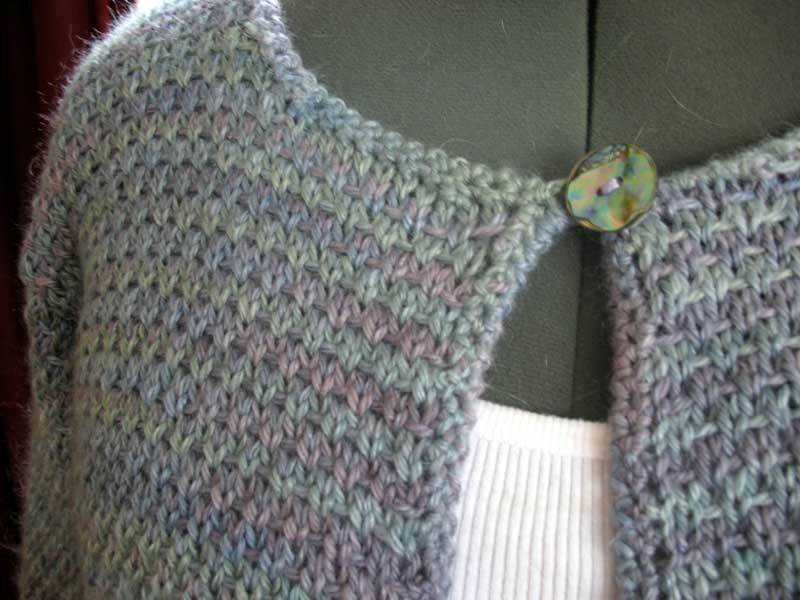 The pattern stitch was easy to do and works well with the subtle hand dyed yarn. The fiber content gives it a lovely drape. 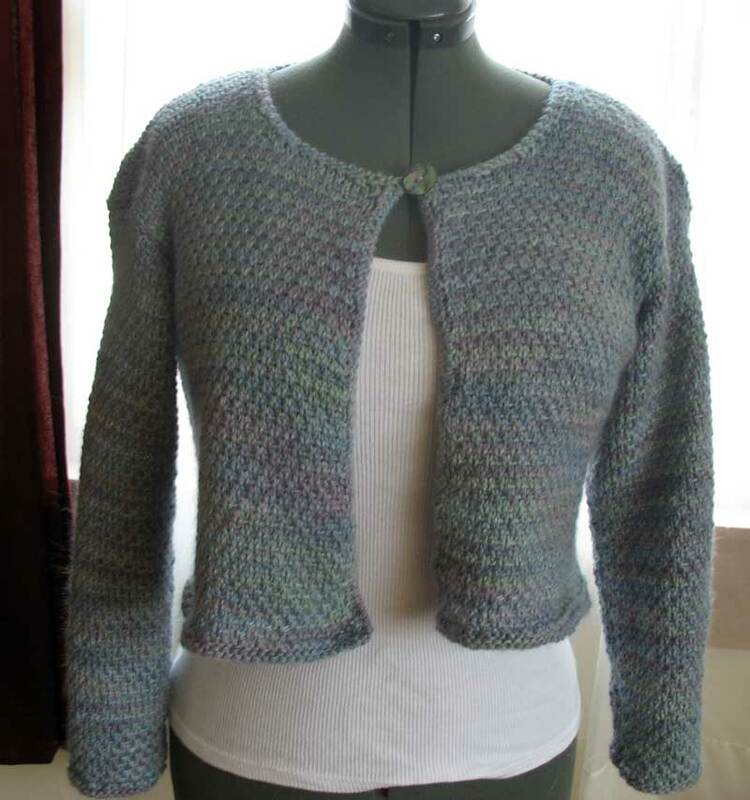 It is very cropped, only about 18" long, making more of a bolero than a cardigan, so I won't get as much use out of it as I would like. 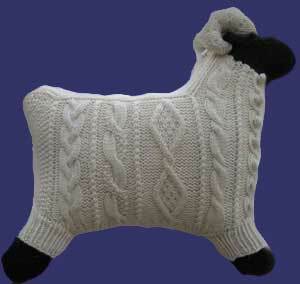 I would absolutely knit it again, but I'll buy 3 skeins of the Riata and lengthen the body 4" or so. Sadly, I won't be wearing it anytime soon. It's also fairly warm. It's going to be nice in the colder months and I think I'll be looking (or making) a dress to go with it. Okay, off to start finish something else!!! Beautiful- I love the soft colors. I love it! The color is pretty too!